Title: Ptolemaei Typus. Publication: Geographiae universae tum veteris, tum novae absolutissimum opus... Auctore eodem Io. Anto. Magino Patavino..., Cologne 1597, Petrus Keschedt. 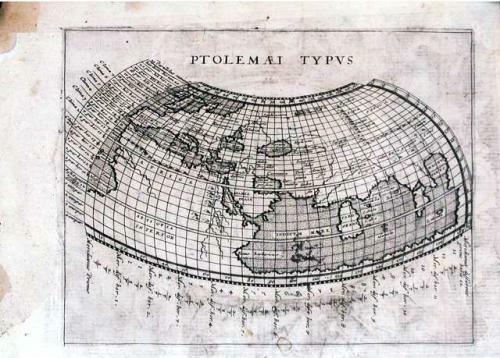 A Ptolemaic map of the ancient world showing the misconception of a land locked Indian Ocean. Based on the 1561 Valgrisi edition. The left margin has been strengthened with paper but the repair is outside of the neat line. There are three pin pricks - not affecting the text. Light soiling.